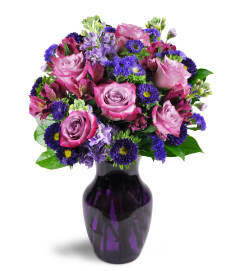 Give sweet comfort with delicately-hued blooms. 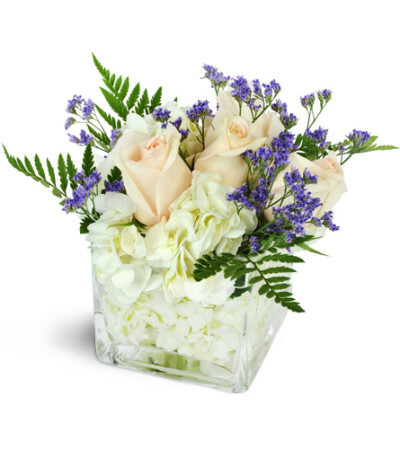 To show your support during a difficult time or send a gesture of compassion at any time, this soft mix of roses and hydrangea are a lovely way to send your love. 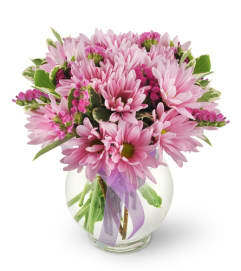 Light pink roses and white hydrangea are accented by delicate purple caspia in a modern cube vase.